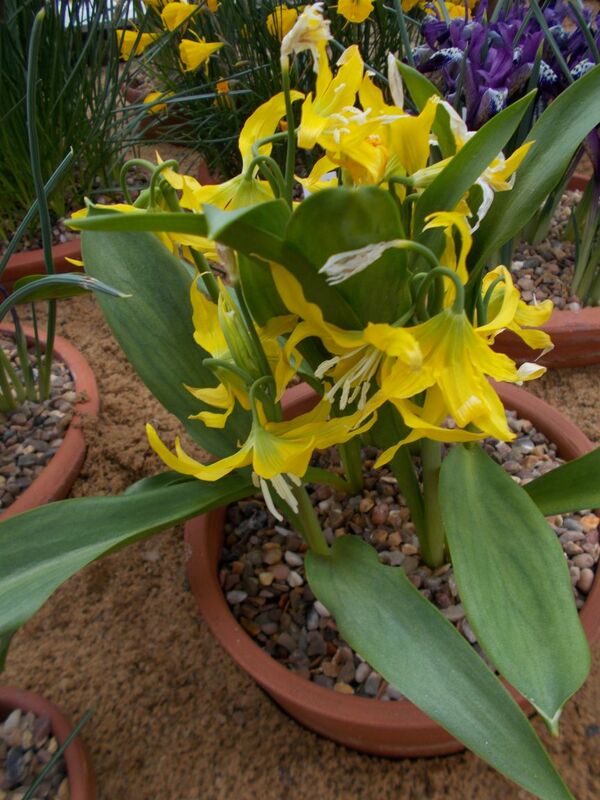 Amongst the array of fine spring flowering bulbs in the alpine house is a pot of Erythronium grandiflorum ssp. grandiflorum. A native of western North America found growing in woodland where the soil retains moisture the year round. 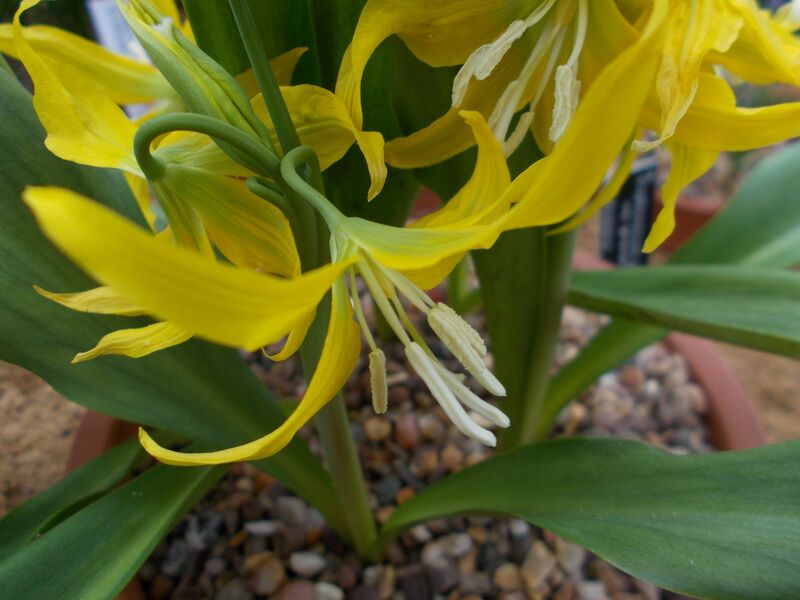 Growth rises from an elongated bulb, fresh green foliage and a yellow cluster of dropped petals envelop protruding white anthers. Just one of many spring bulbs providing an early show of colour.